KSRealityBites: Asthma management programs benefit preschoolers! Asthma management programs benefit preschoolers! WASHINGTON: A new study shows that Asthma management programs, developed for parents of preschool children diagnosed with asthma, have huge benefits. The Asthma Basics for Children (ABC) program, established by Columbia University''s Mailman School of Public Health & a coalition of community service organizations, educators, parenting programs & community pediatric providers, had come up with a multi-layered approach that offers educational activities to parents & children in 31 Northern Manhattan daycare centers as well as training to community pediatric providers. Following participation in the program, 85% of parents reported reducing their child's asthma triggers. The percent of children with asthma-related visits to emergency departments declined sharply from 74% to 47%, as did asthma-related hospitalizations, dropping from 24% to 11%. The ABC Program provided multiple opportunities for parents to learn about asthma signs & triggers in health units at the daycare centers. The Columbia researchers found that parent participation rates in the study exceeded rates found in most other preschool or school-based asthma programs. 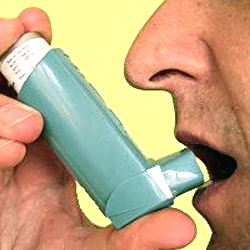 "Although emergency room visits & hospitalization rates for this age group are more than twice that of older children with asthma, until we developed the ABC model, only a handful of programs had been designed to promote better asthma management by their parents," said Sally P. Findley, first author on the paper. "Our study suggests that the benefits of such a program are huge," Findley added. Full study findings 've been published in the February 2011 Journal of Urban Health.